As Internet-based economies edge closer to their real-world counterparts, one country is apparently trying to build a wall between the two. China has announced new rules that prevent “virtual currencies” like Linden Dollars and QQ coins from being traded for real cash. “It’s a pretty important step,” said Edward Castronova, a professor at the University of Indiana who studies virtual currency. “These virtual currencies, as they grow, are going to become competitors to real-world currencies — and apparently that’s what happening in China. These QQ coins are becoming things you can use at the corner store to top off your bill.” It’s difficult to say how large virtual economies have become, because governments don’t conduct surveys, Castronova said, but the popularity of online cash is reportedly growing by as much as 20 percent per year. Virtual worlds like Second Life allow users to buy clothes, cars and land for their virtual characters, or avatars. And online cash has become important in online games and social networks, where users can buy trinkets to give to their friends or power-ups for their video game characters. 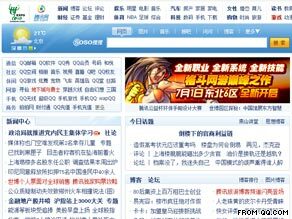 China’s ruling does not prevent gamers from purchasing virtual money. It stops the cash flow in the other direction, meaning online-only money can’t be converted back into dollars or yuan, an online statement from China’s Ministry of Commerce says. The decision comes as China wrestles with Internet and privacy issues. Free-speech advocates have criticized the country’s decision to install Internet-filtering software on all computers, although that mandate was recently delayed. Online commentators have said the virtual currency restrictions are designed to ban “gold farming,” in which workers earn online money by playing games like “World of Warcraft” and then sell their earnings for real money on a black market. Some have called the process inhumane, and news reports describe sweat-shop-like conditions for the people who work to earn the virtual cash. Most games, including “World of Warcraft,” ban the practice, but that’s not always successful. Mark Methenitis, an attorney in Dallas, Texas, who writes a blog on legal aspects of virtual gaming, said he’s hopeful the rule will restrict gold farming. “Is this necessarily going to solve the problem We’ll see,” Methenitis said. “In theory it does, but it also imposes quite a bit of more regulatory control that the government has to work on.” Castronova said that’s not the intent of the rule. He says it is a forward-thinking move to protect China’s national economies, and other governments should take notice and eventually follow suit. “It is good for an economy to have the government in charge of the currency. … That’s the right way to run an economy,” he said. “If you don’t do that, then you kind of return to the days of wildcat banking.” If people start using online money to buy goods at real stores, then video game communities or social networks essentially become banks, he said. That could lead to wild inflation and market failures both in the real and virtual worlds, he said. Can Second Life help teach doctors to treat patients?